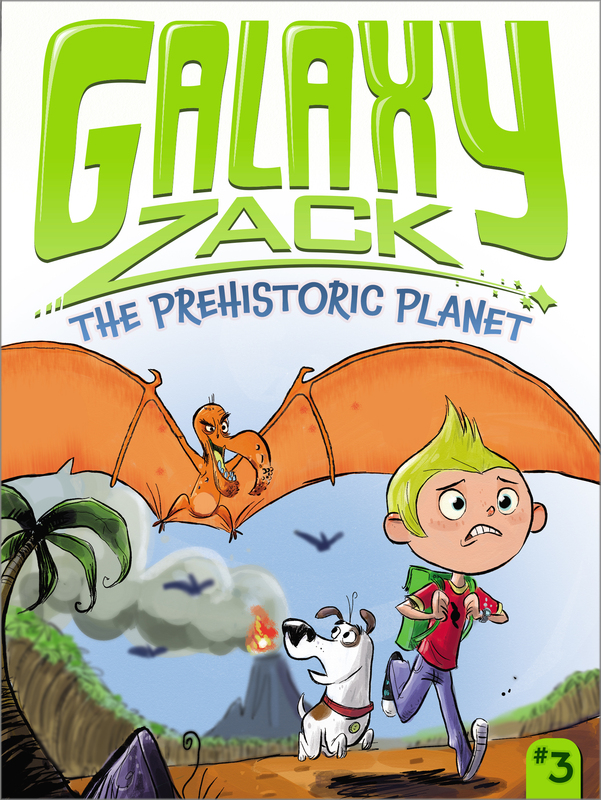 Galaxy Zack blasts back to the past in this outer space chapter book adventure! A baby pterosaur can’t find his way home, so it’s up to the Nebulon Navigators to return him to the Prehistoric Planet. And when Zack’s dad is invited on the journey, Zack finds a way to go along too! But as they blast off on the super shuttle, they hear a strange noise. Is it the pterosaur, crying for his mama? No, it’s...Zack’s dog, Luna, who has snuck onto the shuttle! When the shuttle lands, Zack can't believe his eyes: The Prehistoric Planet is full of creatures that he’s only read about in books. Zack and the team of navigators head out in search of the pterosaur’s mother—and end up in the middle of an amazing adventure. Colin Jack is originally from Vancouver, Canada, and has illustrated several children’s books. He currently works at DreamWorks Animation as a story artist and character designer and lives in the Bay Area with his wife and two sons.